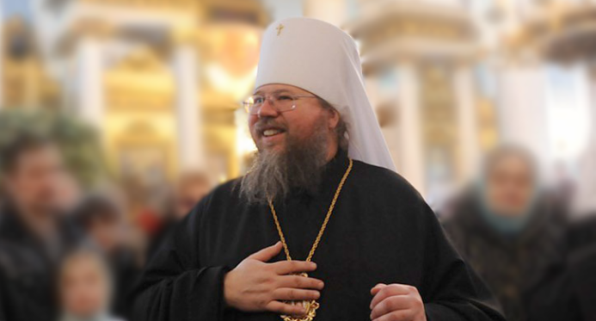 Of course, it is “politics” when an Orthodox leader defends the church’s doctrines in public. It is not “politics” when liberal activists inside the church work to silence the voice of the church, while quietly lobbying in seminaries and elsewhere to redefine those same doctrines. Read the entire article on the Get Religion website. Fr. Mark Arey ….. cashing his check and confused as always. I was watching the election of the new primate of the ACROD online today and I could not help but feel very pessimistic about the ability of the Church to govern itself. More and more these canonical elections are becoming sideshows where you are allowed to vote for only one candidate or risk the displeasure of your boss. Discussion and dissent are viewed as disobedience. There have been some raucous elections in Church history that have produced some truly great leaders but today elections are tightly managed with scripted outcomes. Here is what I know about the new bishop elect of the ACROD. 1) He graduated Holy Cross in 2006 and has 5 maybe 6 years of pastoral experience under his belt total. It looks like he has also not been in his present parish assignment for very long. 2)He does not have much a publicaiton history nor does his biography have any tangible leadership accomplishments outside of “he travelled the Atlanta GOA diocese preaching” 3)You cannot help but question his long term commitment to the unique traditions of the ACROD. Is he even capable of talking about its history? I cannot help but wonder if this situation has all the makings of a huge disaster. An inexperienced soon to be bishop with little real world experience or pastoral success taking over a diocese where your predeccessor is revered and most the clergy are near retirment. Couple that with a very little knowledge of who the bishop is or what he believes and mix in his dispostion to tow the omogenia line and live that suburban lifestyle that Greek bishops demand and I can see the train in the ACROD running off the rails in about 18-24 months. Honestly, can someone trained in the GOA system who is a priest for only 6 years with very little public record and strong ethnic ties to the omegenia have the skills to shepherd and manage a diocese with a unique ecclesiastic culture that is not his own. Can this bishop elect transcend his Greek ethnicity to minister the ACROD Flock? Have any of the new flock of hierachs trained in the GOA demonstrated such ability? If he wasn’t a celibate in waiting would we be talking about him in this position at all?